From Keith Moon and John Bonham to Travis Barker and Josh Freese, there are no shortage of musical legends to inspire you to pick up a pair of sticks and start drumming on whatever you can find. 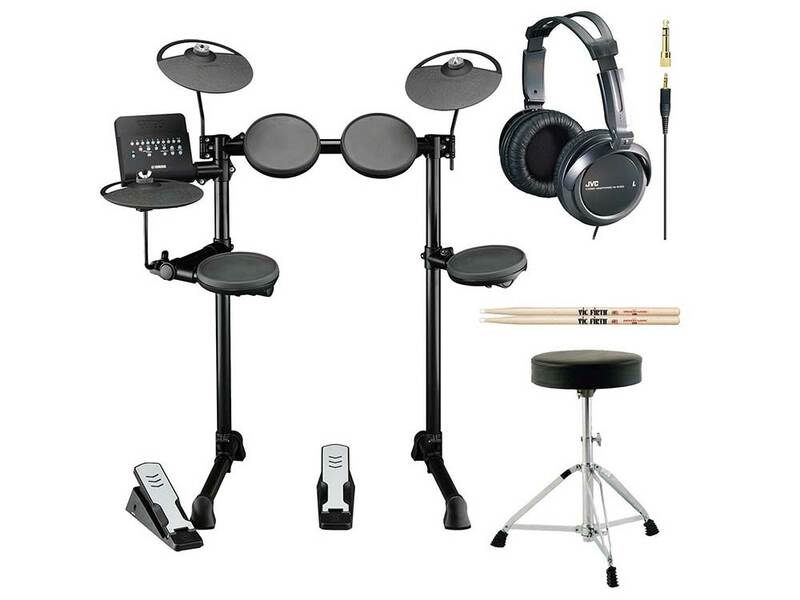 What do you do when you’re looking to find the best electronic drum kit, but you have no idea where to start? I was in that exact same situation not too long ago, and let me tell you, I got in over my head real fast. I had no idea how complex electronic kits could be, and how different the features were from acoustic kits. But after some serious time learning everything I could about them, believe me, I found there was a lot to learn. 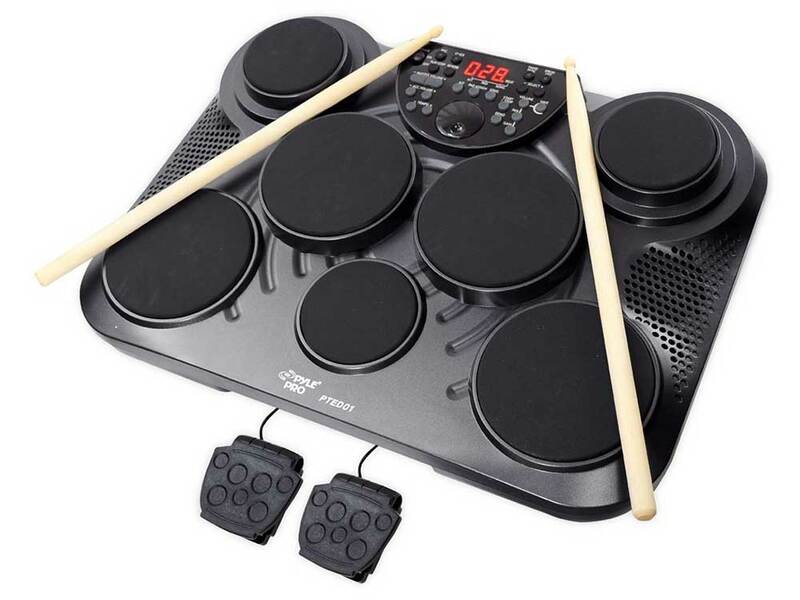 I knew that I couldn’t be the first person to go through all of this, and that there would certainly be others who wanted to know about the best electronic drum kits. That’s why I collected everything I learned and made Drum Kit Digital. You can find reviews, buying guides, tips, articles, and more to help you find the best kit to fit your drumming needs. 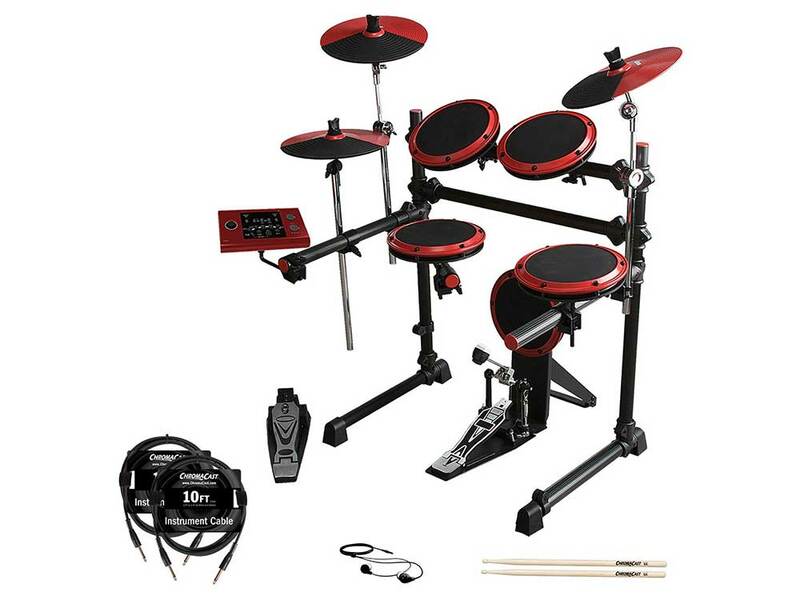 Whether you’re a kid or an adult learning to play the drums, this electric kit from Yamaha is an amazing find for the beginner player. It gives you all the accessories you need to start playing right away, and has some neat features that are geared towards the novice drummer. I was very impressed to learn about its teaching tools, since those can be a huge bonus when you’re just starting out. Nothing can be more confusing for a beginner than trying to purchase all of the necessary accessories to start playing, especially since it can be hard to tell what you actually need and what’s better saved for later on down the road. This kit starts out with a full eight-piece electric drum set, so you can access the standard snare, toms and cymbals to create a realistic drumming experience. The kit also includes a kick pedal, which isn’t always the case with some electric kits. Beyond the core system, you also get an adjustable drum throne, so you can set it to the perfect height for you to start playing. It also comes with a pair of stereo headphones, so you can actually listen to yourself play without connecting the kit to an external system. Finally, you get a pair of Vick Firth 5A drumsticks, which are a quality brand and ideal for beginners because of their balance between weight and size. One thing you definitely don’t want on a beginner drum kit is tiny heads, since they can be harder to play and require a higher level of accuracy that can be too challenging for some new players. This kit features 10-inch cymbals and heads, so you will have ample room to play and grow comfortable with the process of playing without having to focus on too many advanced concepts. It’s also configurable with other pads and heads, so as you grow and increase your skill you can upgrade the kit to match your needs. Having room to grow and customize makes this a solid investment for beginners, since you’re really getting a kit that you can keep using over time. There are so many things that really set this drum kit apart from the rest, and they’re all geared towards giving a serious drummer a serious instrument to enjoy. It’s built to be sturdy and dependable, so that it with withstand the intensity that can come from on-stage performances. 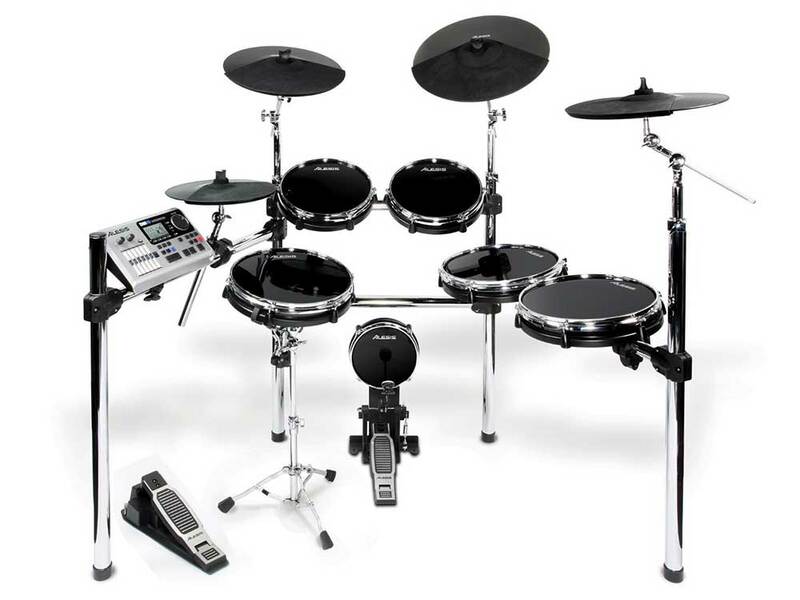 It also has pads with variable sizes, which helps to simulate a realistic drum kit and give you a greater range when you play. Combine that with the DM10 brain and you’ve got a drummer’s dream right here. 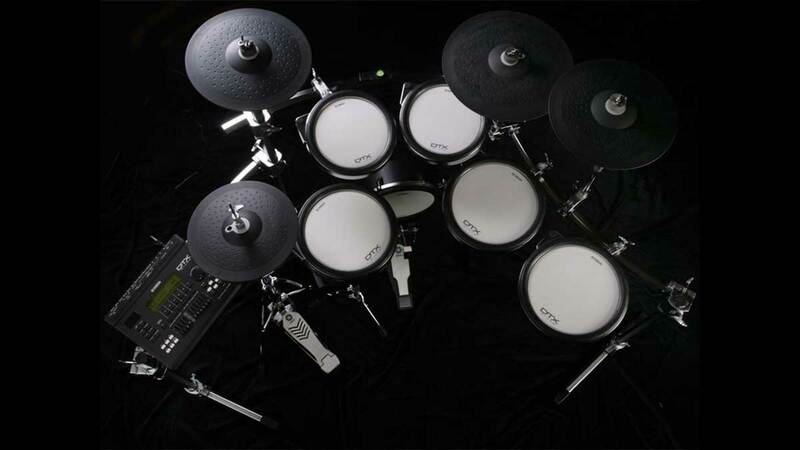 Electronic drum kits require a bit more stability when it comes to their construction, since a traditional acoustic kit uses the kick drum as the base for anchoring everything down. I was really impressed to learn that the rack on this kit is made out of heavy duty chrome plated steel, which means it’s not only strong but looks attractive (which is definitely a plus if you’re planning on using the kit for live performances). There are also hinged clamps on the rack that are designed to make setting up or breaking down the kit fast and painless, unlike the troublesome screw locks that come with other electric and acoustic kits. These drums are definitely made with the player in mind, and perfect for anyone who’s serious about drumming. Right out of the box this kit has over 1,000 sounds preprogrammed into the brain, so you can access a huge selection of voices without having to do anything extra. The set allows you to access the sounds through a series of kit presets, so you can switch between rock, hip-hop, or jazz kits at the touch of a button. If you want to get more creative and develop your own custom configuration, you can completely reprogram the pads to use whatever sounds you like. 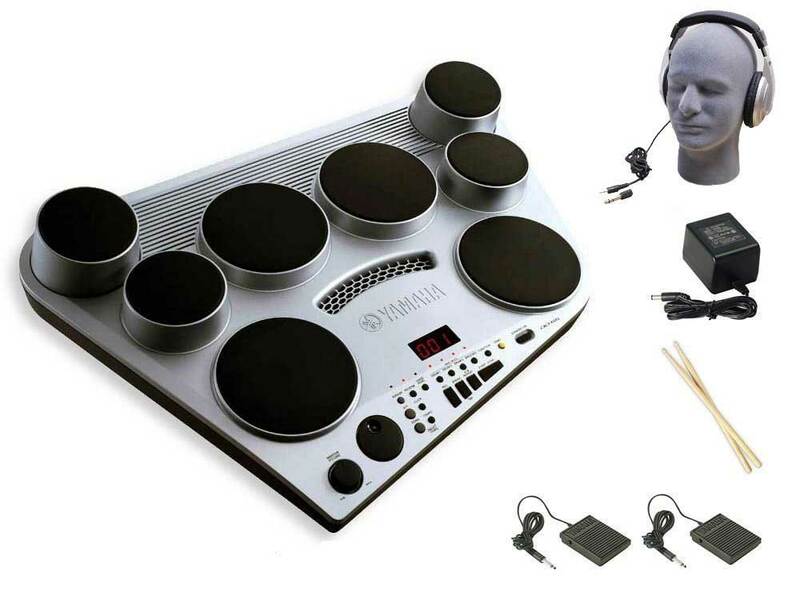 And if you’re not feeling any of the sounds that come with the brain, you can simply program your own sounds into the brain – another of the many features that show this is a kit for professional drummers. One of the benefits of an electric drum kit is that you can create very different sounds without having to use a ton of different instruments. Still, setting up and managing a full-sized kit can be cumbersome, especially if you’re working with a home recording environment. This drum pad solves those problems by delivering you a complete drum setup in a compact little device, so you can create rich sounds without having to free up the space that other kits would need. 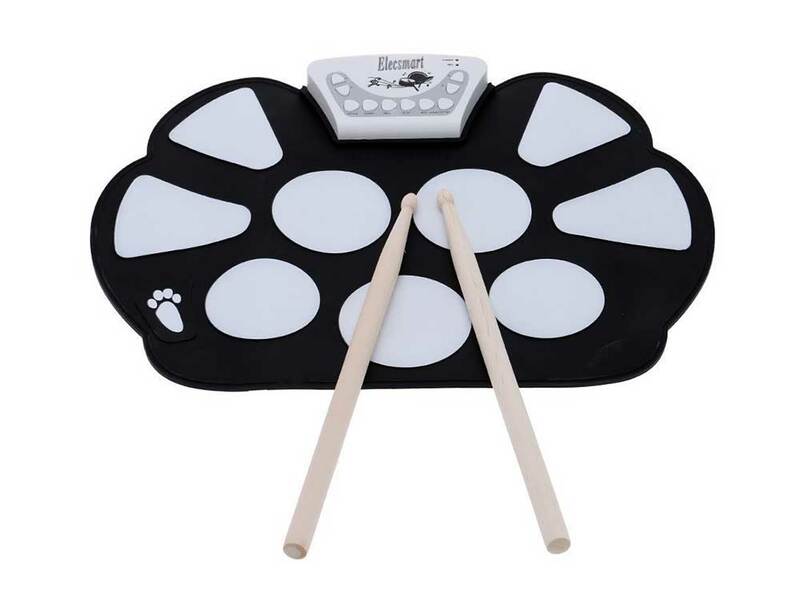 Unlike a lot of other pads (or full-sized electronic kits, for that matter), this drum pad features eight touch-sensitive pads. Each pad maps to a different piece of the drum kit, so you can access a snare, toms, crash symbols, and more. The pad is also designed with real drummers in mind, so each pad is sized and positioned to resemble a full kit. You won’t need to learn a whole new configuration with this pad, so you can focus on programming your sounds and getting right into playing instead of fussing with a confusing setup. Best of all, the pads are touch-sensitive, so you can create different sounds and effects depending on how hard or gently you strike. This pad has several features that are tailor made for home recording, starting off with the MIDI in/out port. You can easily connect this kit to your computer so you can record everything you play into programs like Garage Band, and a headphone jack so you can always listen to what you play. If you prefer to hear your music out loud, or record through a miked amp, this pad does that, too. When you need to listen to another track while playing, which happens pretty often during recording, use the AUX-in jack to plug an MP3 player or other device right into the pad. You can also switch to hand percussion mode to play the pad like bongos and congas, for even more performance options. When you’re ready to take your drumming to the stage, you’re going to need a kit that can deliver reliable sound and functionality, but you might not be ready for a full professional-grade setup. This kit covers the middle ground between the two sides in a great way, featuring everything you need to start playing without overloading you with too many controls and options to make the experience more complicated than it needs to be. I love that this kit comes with USB and MIDI ports, which means that you can feed it into additional computers or instruments as necessary, wherever you are. Maybe you need to run the drums through a computer to make a live recording, or you have some other equipment that’s part of your band setup. Whatever the case, this kit gives you the ability to work with a huge array of devices so that you can achieve the best on-stage playing possible. When you’re not performing, you can also put these features to use with your home setup for practicing, recording, or jamming out with your bandmates. You really don’t see kits that come with accessories like this very often, which is what makes this a great kit for anyone gearing up for a live performance. You get a pair of sticks, which is perfect because you should always have an extra set on hand in case you drop or break one while playing. The earbuds are going to be very useful for doing your own setup and tweaks before you get set up through the stage’s sound system. Finally, the two ¼-inch instrument cables will allow you to connect to amps and preamps, or even lend it out to a fellow musician if need be. They’re also 10 feet long, which will give you a good amount of distance to set up the kit exactly where you want to on stage. Sometimes drummers like to have an extra kit for practicing, recording, or for performances, so that there are always drums available when they need it. This kit would make a wonderful secondary kit for a recording studio, or for an acoustic drummer that wants to have access to an electric kit for practicing or playing on the road. When it comes to electric kits, you’re going to see a lot of models that one single zone drum heads, which means that no matter where you strike the head you’re going to receive the same sound. This kit features a dual zone snare, giving you significantly more versatility in terms of playing style. If you thought that was already amazing, then you’ll love the fact that the kit uses specialized rubber pads throughout to create a dynamic response when you play. This kit doesn’t try to simulate acoustic drums like others do, but instead is built to give drummers a reliable and responsive system for a memorable playing experience. 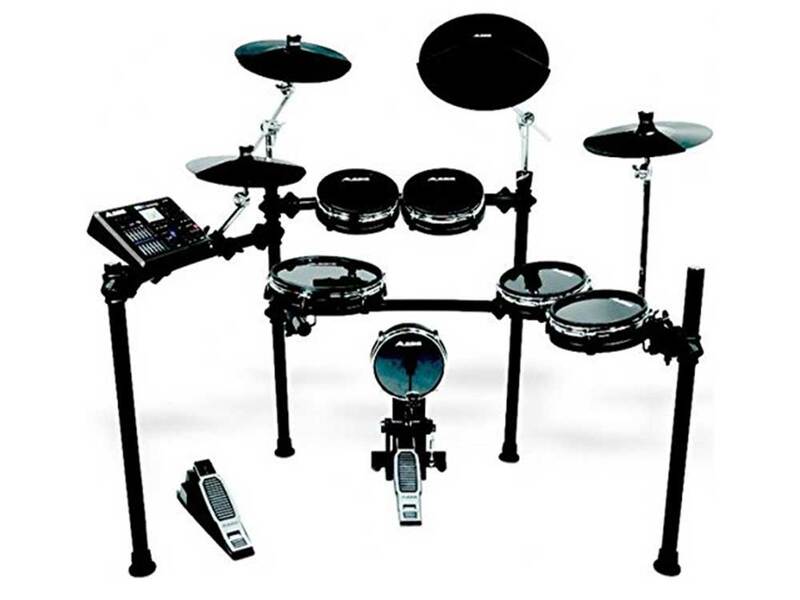 This electronic drum kit delivers a solid balance between the number of sounds available and the overall complexity of the system. The module features 50 factory default kits that total over 600 individual sounds, while also supporting 20 user-defined presets. This is definitely enough to create a strong variety of configurations, but not so much that it would require extensive effort to setup and start using in a pinch. The rack is also made to keep the pads securely in place, but doesn’t feature a ton of complicated hardware like other kits do. Again, it’s a good balance between the two ends of the drum kit spectrum, so you get reliable kit that isn’t too complicated to use. Musical instruments can get pretty pricey, and drum kits (particularly electronic kits) are often the worst offenders. When you’re looking for a set that fits within a budget, look no further than this robust kit from Behringer. These guys make a wide range of quality instruments with affordability in mind, so you’re going to get a fully functioning kit that will keep you playing without breaking the bank. Just like with acoustic drums, the more pieces that come with the kit the higher price usually is. The great part about this kit is that you still get a full eight pieces without having to pay a sky-high price. You get a snare, toms, hi-hats, crash cymbal, ride cymbal, and kick drum – everything you need to achieve a real drumming experience. Another amazing benefit of this kit is that it can connect with external musical instruments or recording software, so you’re able to use it just like you would any other electric kit. Other kits leave you with cut corners or lost functionality in order to lower the price, but that simply isn’t the case with this kit. The other area that usually gets curbed in budget kits is the sound module, but this kit gives you one of the more versatile modules I’ve seen on drums like this. 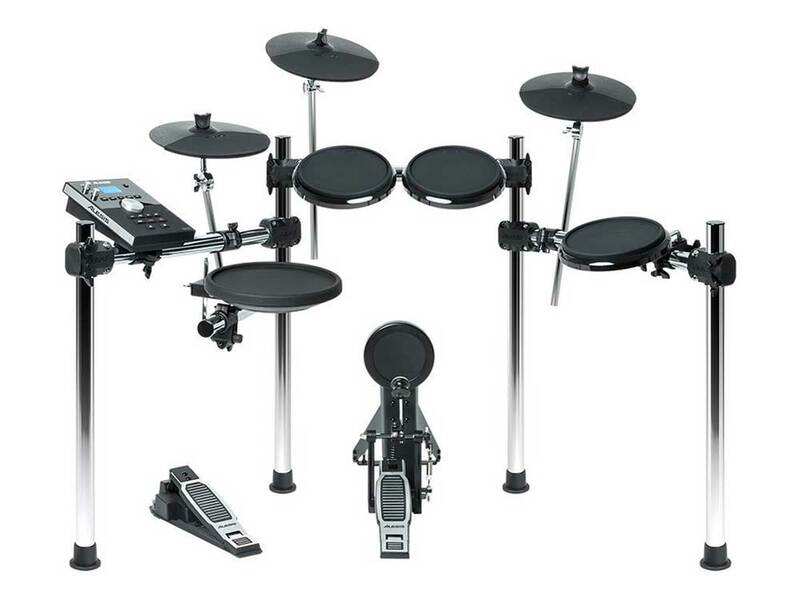 It comes with nearly 200 studio-grade drum and cymbal sounds preprogrammed so you can start playing right away. There are also 10 standard kit presets, so you don’t have to worry about creating all the sounds right away. When you are ready for your own custom setups, you can set up to five user-defined configurations through the large LCD display system. The module also features a button-based drum setup system that resembles the actual layout of the drums, so you can easily and quickly assign sounds to each pad when you need to. The key to getting better on the drums is practice, but that isn’t always practical when it comes to electronic kits. 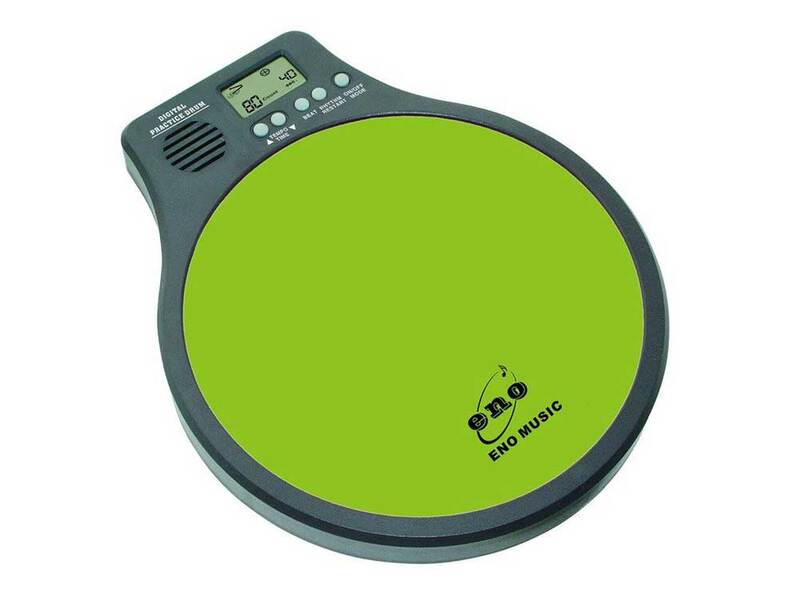 This electronic drum pad is built specifically to make practicing a simple and painless process for drummers of all ages. There are a bevy of useful features here to keep you sharp no matter where you are, including some helpful adjustments to sound and the ability to play along with presets, as well as use it to record your own work when you’re ready. This drum pad features seven drum pads that map out to the standard snare, cymbal, and tom configuration to help you practice on a real drum setup. I came across a lot of models that were either too basic or too complicated when it came to the pad arrangement, so I really like that this one actually resembles where the pads would be on a real drum kit. One of the coolest things about this drum pad is that it comes with two pedals, so you can practice your footwork as well. This means that you can map one pedal to the kick drum and the other to the hi-hats. Being able to practice hi-hat control is surprisingly not very common on these pads, so I was very impressed to see it here. There are a lot of electric drum pads out there that only give you a single sound for each pad, which can make using them feel stale and boring over time. This pad allows you to choose from 25 preset kits, so you can play with a solid variety of sounds. It’s important to be able to hear the drum sound that matches your style of music, because this helps you form a better connection with the outcome of your actions and develop your musical ear as well as your sense of rhythm. If need be, you can also access user presets to create your own custom setup. This pad also allows you to connect to a Mac or PC so you can record your playing, which is great for making songs as well as being able to identify the areas that you need to work on. Recording in a professional studio environment can carry some major perks, as well as present a whole new set of challenges. Of all the electronic drum kits I’ve seen, this model definitely wins my pick for the best kit for studio recording. It comes with a powerful drum brain, a customizable rack and some powerful features that will give you a ton of flexibility to create some truly unique sounds and tracks wherever you record. 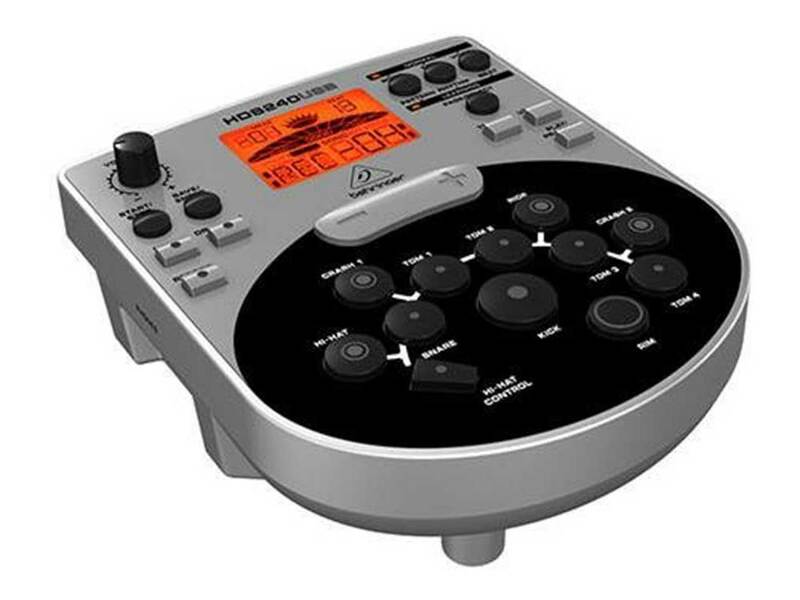 Recording with an electronic drum kit can be difficult if the brain has low quality samples, since these can have issues recording clearly, lose quality during copying, or simply fail to “mesh” with the other instruments. The fact that the hundreds upon hundreds of built-in sounds on this kit are completely uncompressed means that you’re going to get crisp, clear tones with every configuration. It also features RealHead pads for the snare, tom and kicks to deliver a more realistic and dynamic sounds. The mylar head simulates the feel of playing on real drums, and allows for zone-specific playing. As an added bonus, you can actually use almost any kick pedal with the kick pad on this kit, instead of needing a completely digital simulated setup. The module on this kit can connect with external recording software and hardware, so you can capture your playing seamlessly and simply. The drum brain also gives you a lot of control over the output of the sounds, starting with simple pad sample selection and growing to include other aspects of the tone. When you need to bring in new sounds, all you need to do is connect the kit to a computer via USB and copy your new sample library right into the module. This ensures that you’ve always got every sound you need, so you can focus on creating your music instead of struggling with pointless limitations. Electronic drum kits aren’t very portable, and while some pads are much easier to transport than others they still present some issues. When you need a drum pad for your kids that’s portable, like for practicing while on a trip or a friendly jam with friends or family, this model is definitely the one I would recommend. Downside is that you still need to hook it up to a laptop, but it gives you what you need from a drum pad, while also offering a truly unique transportation option. This is the only drum pad I’ve seen that you can actually roll up and carry with you. Every other pad is a big, solid device that would be rather impractical to lug around in a casual manner. With this model form Elecsmart, you can literally roll the pad up and tuck it into a backpack or tote bag. It’s made with a silicon base, so it protects the electrical components while keeping the unit lightweight and flexible. This is by no means a professional-grade drum pad, but it’s a wonderful solution to allow your kids to practice when you’re away from home or if you want to bring some percussion to a casual gathering or music session. You will need to plug it into headphones or external speakers in order to hear the sounds, since it doesn’t have any internal speakers. There are more than a few nice little touches on this pad that give it some unexpected functionality. First of all, you can actually record what you play right through the pad. This is a great feature if you’re working with a drum book or other type of instructional material because you can play the pattern, then record it and listen to it with the book to track your progress. There are also controls to adjust the tempo, and choose from a few different play styles as well. The pad runs off of a simple electrical adapter or two AAA batteries, so you really can use it anywhere you go. When you want to teach your kid to play the drums, you need to start them out with something simple to help them grasp the basics of technique and simple patterns. This electronic pad is great for kids because it features a single head so there’s less confusion, and the different colors make the whole experience more enjoyable for them. Being able to take this pad around with you is a nice feature, and since it only requires a few AAA batteries you don’t have to worry about dealing with any specialty parts. There’s also a AC adapter port, so you plug it into an outlet if you don’t want to run down the batteries. The portability means that a child could use the pad while sitting in bed, on the couch or even in the car on the way to music lessons. I also really like that it comes with a built-in metronome, which is incredibly important to helping your little drummer develop a sense of timing. One of the best parts about learning an instrument is choosing a color and style that you like, but this isn’t always possible with drum kits and pads. That’s exactly why the color options for the heads are such a nice touch here. When you choose a pad that your child can connect too (because the head just happens to be her favorite color), then the child is going to feel a stronger connection to it. This connection carries through during practice, and can make the child feel more committed to playing. Creating a positive experience and growing positive feelings is essential to learning an instrument, because it helps to encourage more discipline and counteract feelings of frustration. There you have it, my reviews for the best electronic drum kits on the market right now. If you’re still not quite sure about which model is right for you, make sure you check out the in-depth reviews I’ve posted for my favorite picks. These kits stood head and shoulders above the rest, and there’s a good chance one of them could be your next drum set. There are also some buying guides and other articles on the site to help you find answers to other questions, such as how to buy an electronic kit on a budget or how to choose between a kit and pad. Make sure to check them out before you head off to look for any more kits. © 2019 Drum Kit Digital. All Rights Reserved.